A ‘Casanova conman’ who fleeced women out of thousands of pounds by posing as a former Royal Marine has been jailed again after almost immediately returning to his life of lies after leaving prison. 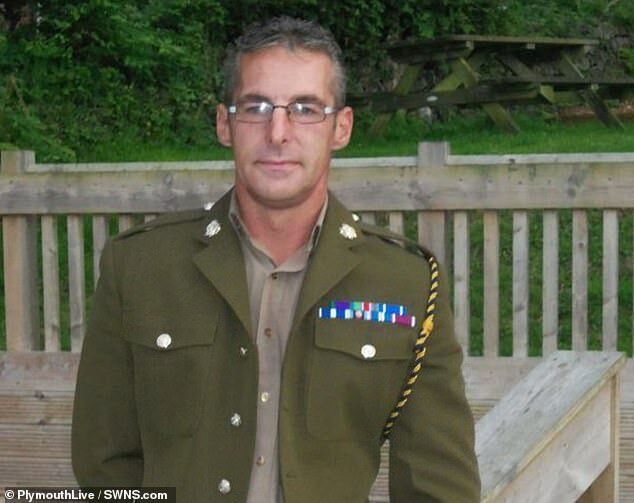 Michael Brain, 49, was banned from using social media in 2016 when he was jailed for four years in 2016 for conning victims out of £40,000 by pretending to be a former Royal Marine on dating sites and using pictures of himself in uniform. But just weeks after his release last year he was back on Facebook and Instagram describing himself as ‘ex-special forces’. Alongside his 2016 sentence, Brain was handed a Criminal Behaviour Order that banned him from social media, dating sites and making false claims about his service. 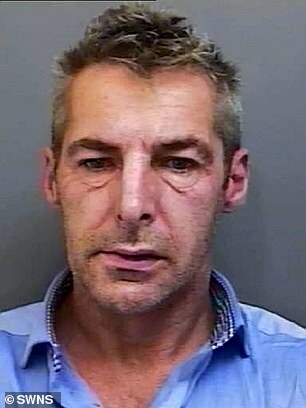 The grandfather-of-one admitted breaching the order at Plymouth Crown Court and was jailed for two years. The court heard between 2012 and 2015 he conned up to 28 women who handed over £40,000 which he blew on gambling and alcohol. He had also claimed he suffered burns injuries ‘on the front lines’ but was actually hurt by a gas canister while staying in a caravan. The Criminal Behaviour Order banned him from using dating websites, social media or lying about his service history. Prosecutor Tom Faulkner said Brain had previously lied about being in the Royal Marines and used dating sites like Plenty of Fish to meet women. The court heard an ex partner spotted that he had set up a Facebook account as ‘Michael Roger’, replacing his surname with his middle name. On an Instagram account he boasted he was ‘ex special forces’ before later changing it to just ‘ex-forces’. He also used his Facebook account to try to sell a car, despite the ban. Brain had been working with probation officers since his release but they were unaware of his online activity, the court heard. In mitigation, the court heard he had found a job as a driver and had secured a place to live following his release. His lawyers also claimed he had ‘not posted much’ on Instagram and had not conned anyone out of cash. Moon 27° Libra 54' 29"
Mercury 02° Aries 40' 39"
Venus 28° Pisces 26' 15"